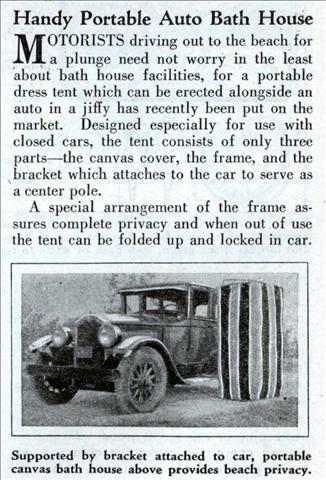 MOTORISTS driving out to the beach for a plunge need not worry in the least about bath house facilities, for a portable dress tent which can be erected alongside an auto in a jiffy has recently been put on the market. Designed especially for use with closed cars, the tent consists of only three parts—the canvas cover, the frame, and the bracket which attaches to the car to serve as a center pole. 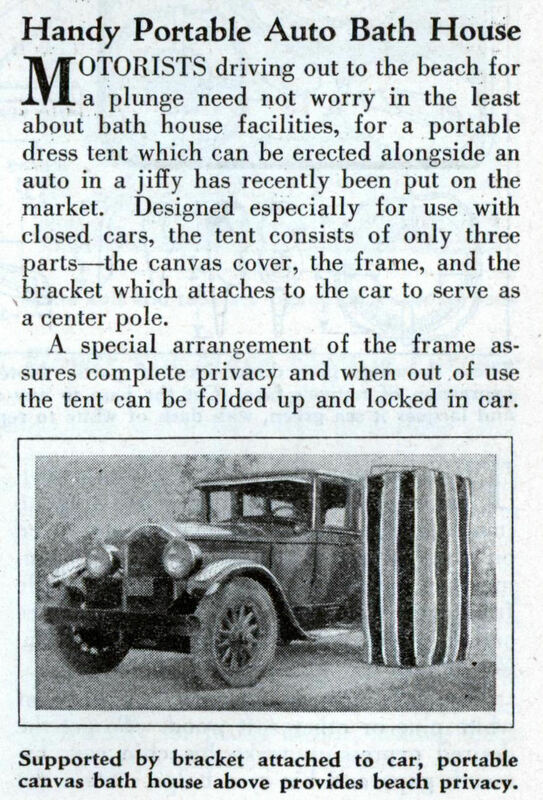 A special arrangement of the frame assures complete privacy and when out of use the tent can be folded up and locked in car.